If you are experiencing problems with your pet, a full behavioural consultation will be required in order to consider possible motivations behind the unwanted behaviour, diagnose the problem, discuss management options and a treatment plan. All behaviour cases must be seen on referral from your vet in order to rule out any medical factors affecting your pet’s behaviour. Dog consultations are conducted at your own home where your pet will feel most comfortable. Telephone consultations may be appropriate for cat and rabbit behavioural problems – video footage of your pet is required in these circumstances*. Six months follow-up support by email or telephone to adjust the training plan if necessary and discuss any problems encountered. For dogs, follow-up visits may be necessary to help with the practical elements of the treatment plan, particularly if you are experiencing problems on walks*. The information and training provided in the initial consultation and written report is sufficient for you to manage the problem and commence the training plan with your dog. Previous training experience, confidence levels and severity of the problem all determine whether an individual decides they would like practical follow-up support. Follow-up visits can be booked in as-and-when they are required depending on the progress of your dog. Access to a private field enables rehabilitation training in a controlled environment. Problem Prevention Consultations are designed for those getting a new dog, rabbit or cat and wanting advice, either before or after the pet is first brought home. Alternatively, these are suitable if you are expecting a new baby and want advice about how to introduce the new member of the family to your dog, cat or house rabbit to minimise stress for everybody. A veterinary referral is not required. Consultations can be conducted via telephone*. House visits are available once the pet (or baby) has arrived home. Information is given about how to prevent common problems arising, body language/communication and how animals learn, as well as specific information about your pet. One-to-one puppy training sessions can be tailored to suit your requirements. 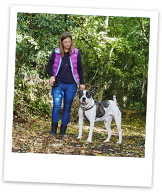 They cover all the information outlined above but also involve basic training and provide you with enough knowledge to enable you to develop a strong relationship with your pup. *Within 5 miles of BS20, initial house visits are priced from £220. Behavioural consultations last for around 2 hours. Evening visits incur an additional £30 fee. Please note I do not work weekends. Over 5 miles, additional fees apply to cover travel costs and time. Consultations are only carried out within a 15 miles radius of BS20 – we cover within postcode areas BS20, BS21, BS22, BS23, BS24, BS41, BS48, BS49, BS6, BS7, BS8, BS9, BS10 & BS11. Referrals are only accepted from certain veterinary practices – please contact us to find out if we work with your veterinary practice. Follow-up visits, Problem Prevention visits and Phone Consults cost £50 per hour plus additional travel fees for house visits over 5 miles and last for a minimum of 1 hour. Thereafter all prices are rounded to the nearest half hour. As a full member of the Association of Pet Behaviour Counsellors (APBC) many pet insurance companies will cover the cost of behavioural consultations. Please check your policy documents and contact your insurance company to clarify. Exclusions and excesses will apply. 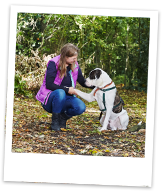 This service is designed to assess animals and the homes of potential adoptive parents or foster carers. Please visit: www.apbc.org.uk/Assessment_for_Adoption_and_Fostering_Placements for more information on the standard process. Assessments are charged at £140 per dog within 5 miles of BS20. Additional fees apply to cover travel expenses and time for visits over 5 miles.